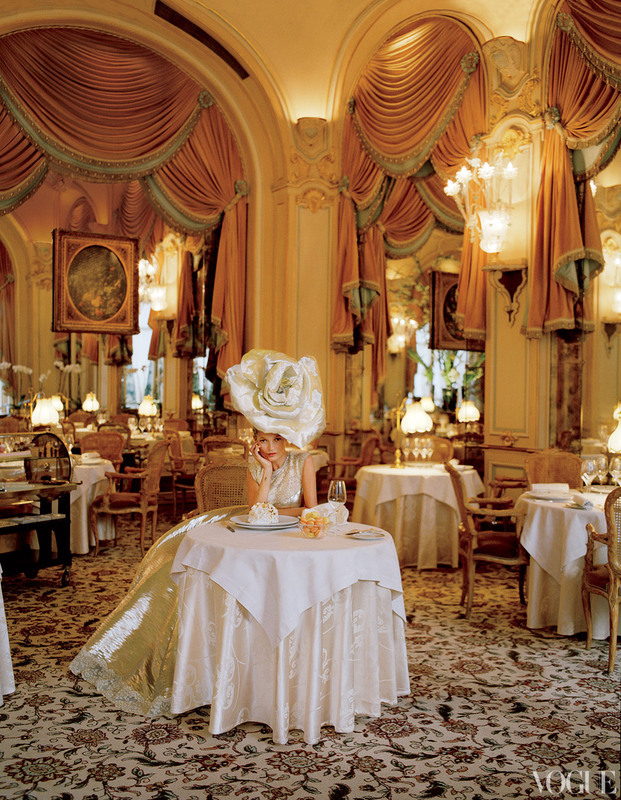 A stunning editorial staring Kate Moss for Vogue shot in The Ritz Paris. A stunning location with stunning couture clothing and an OK 😉 model! This is our HEAVEN! Life imitates Art, Dior’s Final look.